How much do you actually know about caffeine? Although millions of people drink it every day most have little knowledge of what it actually is. 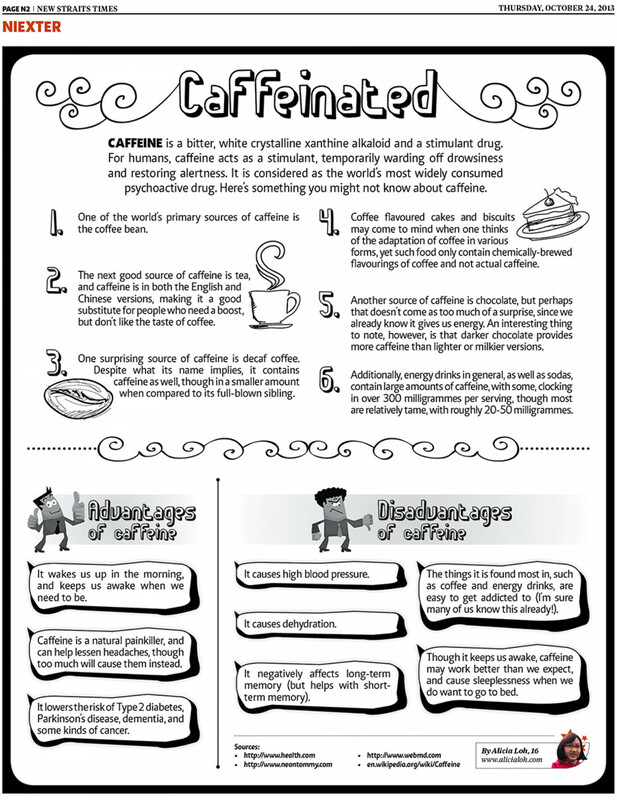 This infographic from Nurfarrahana sets out to offer some insight into caffeine with some of its advantages and disadvantage and 6 interesting facts about the alkaloid. It's full of great info, from the fact that caffeine is found in more places than coffee, including chocolate and that caffeine can actually act as a natural pain killer. If you love your coffee and want to know more about the caffeine that gives us all a kick in the morning it's well worth a look.